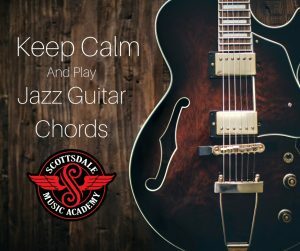 At Scottsdale Music Academy, we lead students on their musical journey to learn all forms of guitar, including jazz music guitar. We believe that studying with our jazz guitar instructors is probably the fastest and most efficient way to pick up jazz guitar playing. There may be other jazz guitar sites out there that can show finger diagrams for aspiring guitarists, but there’s something to be said for sitting in our comfortable studios playing those chords side by side with one of our amazing guitar teachers. In this learning, our instructors can hear you play, assess your strengths and weaknesses and offer tips and exercises for further growth. If you’re a beginning guitar player, it’s probably better to learn basic guitar chords before embarking on a jazz journey. Learning jazz guitar is more complicated, having to do with new finger placements, a nuanced feel, and a tone that comes with more practice. 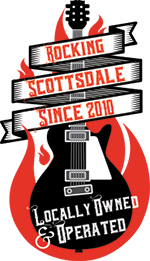 But that’s the experience you’ll get at Scottsdale Music Academy with our private guitar lessons. One-on-one with our jazz guitar instructor, you’ll riff, slide and show your chops. You’ll dig into the jazz songs that you can already play and you’ll start to master those in no time at all! Learning jazz guitar is dependent on ‘swinging’ on the beat with other players. It takes time, effort and a focus on the ‘groove’ when you’re learning. Working with our instructors can help you to learn jazz guitar lines, phrasing and other patterns to work your fingers into a relaxed groove. Over time, your ability to play jazz standards will increase, and soon you’ll start to integrate jazz feel and textures into all of your musical playing, even on keyboards, acoustic guitar and more. Want to learn the insights of jazz music? 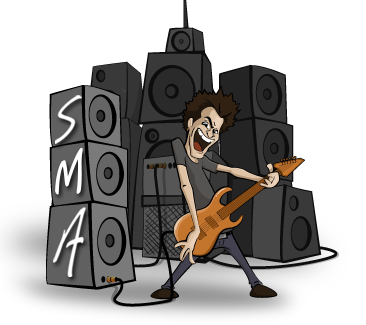 Com to Scottsdale Music Academy and work with one of our instructors. You’ll find ways to increase your playing ability to a level where you can start to play happy hours, cocktail bars and other low-key jazz music outlets. Call us at 602-751-3537 today – your first lesson is free – or stop by our website. We’re the leading music instruction academy in Scottsdale, conveniently located near the Scottsdale Airpark and Scottsdale Road.